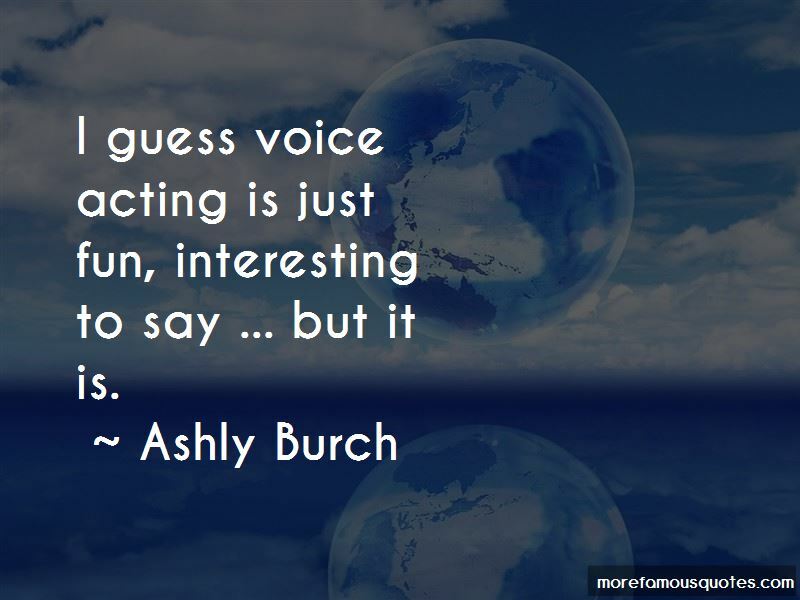 Enjoy the top 14 famous quotes, sayings and quotations by Ashly Burch. I really love doing indie projects, I think the characters that are available in indie games especially, like a lot of the indie games I've done, have been really rich interesting characters for someone of my vocal range. For women and men, but especially women, with on camera acting you have to look a certain way. You have to present yourself as the most attractive version of yourself that you can be, and then you're judged based on how attractive you are or if you are the right look for the character. 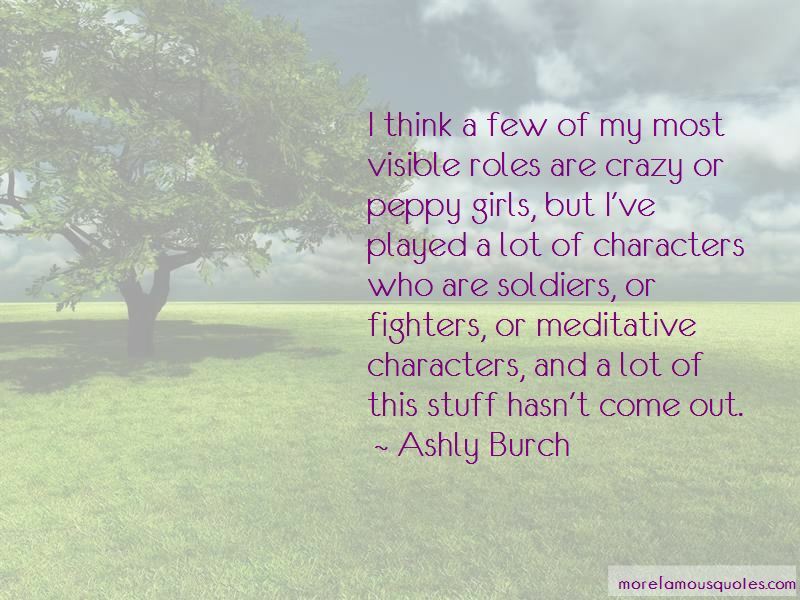 I think a few of my most visible roles are crazy or peppy girls, but I've played a lot of characters who are soldiers, or fighters, or meditative characters, and a lot of this stuff hasn't come out. I've been a soldier, I've been a bunch of little girls, all sorts of roles that I would not have been able to be with on camera context because I just don't look the part. The main thing is always try to find different voices for yourself. If you're in your car just driving somewhere you can try to start thinking about a voice you might want to do, like try a British accent. 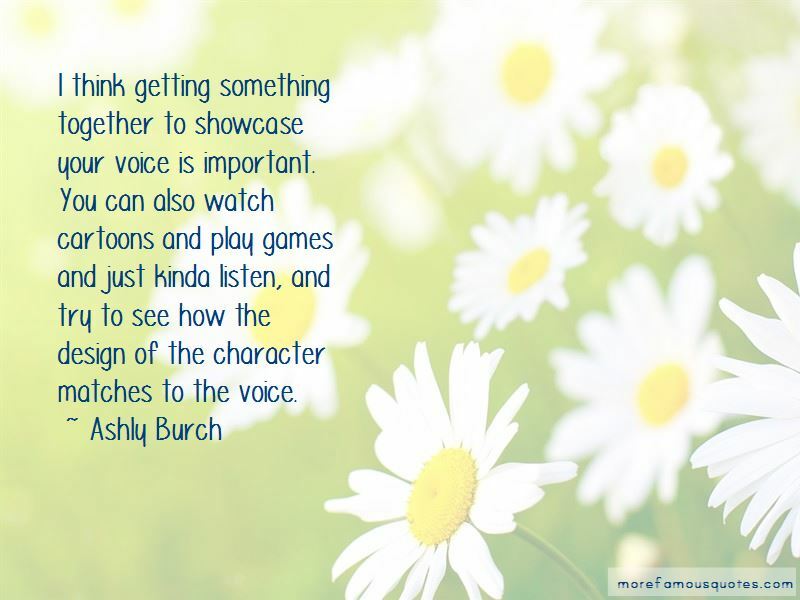 Want to see more pictures of Ashly Burch quotes? 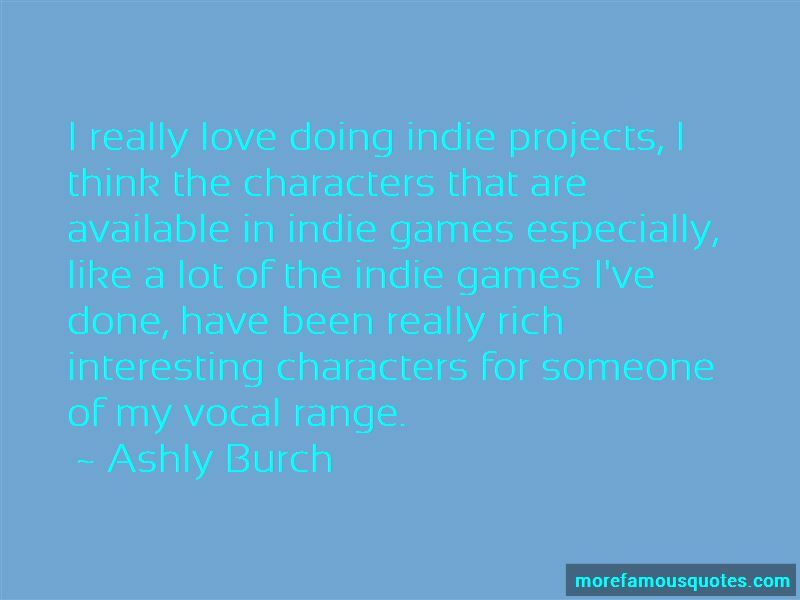 Click on image of Ashly Burch quotes to view full size.